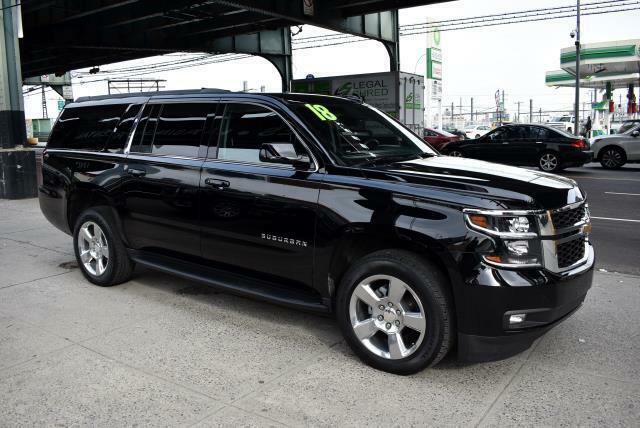 Used 2018 Chevrolet Suburban LT 4WD for Sale in Long Island City NY 11101 Tower Auto Mall Inc.
With the many models available, this stylish 2018 Chevrolet Suburban will prove to be a model that you will be glad you checked out. This Suburban has 25842 miles, and it has plenty more to go with you behind the wheel. Additionally, you'll be more than pleased with extras like these: roof rack,side steps,heated seats,heated rear seats,power seats,rear view camera,power windows,power locks,blue tooth,mp3 audio input,leather seats,third row seat and all wheel drive Take home the car of your dreams today. Visit us to learn how you can add this vehicle to your family lineup.